Two COMPACT, PORTABLE memory foam wedges, shrink-wrapped with instructional booklet. 2 " x 4" x 6"
Achieve better balance with the Activ-WedgeTM! View More In Foam Wedges. 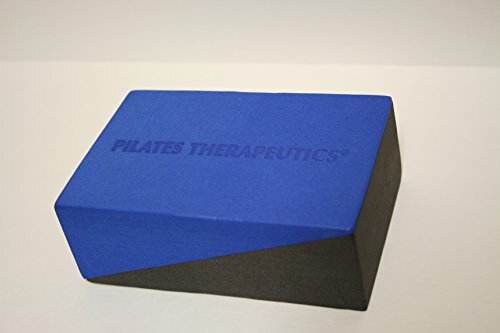 If you have any questions about this product by Pilates Therapeutics, contact us by completing and submitting the form below. If you are looking for a specif part number, please include it with your message. Yoga Knee Pads 2 Pack + Travel bag,Yoga Mat Pain Free Fitness Exercise Workout Support Comfort For Knee Hand Wrist Head Shoulder & Elbow. ECO-Friendly PU Foam Eliminates & Protects Joints Injuries.